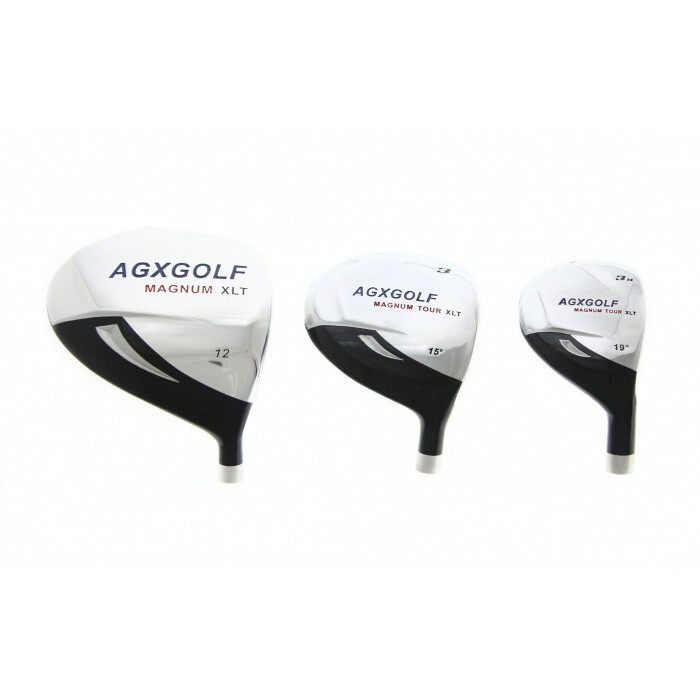 --- Please Select --- BOY'S (TWEEN): For HEIGHTS of 4' 7" to 5' 3" BOY'S: (TEEN): For HEIGHTS of 5' 1" to 5' 7" BOY'S (TALL): For HEIGHTS of 5' 6" to 6' 0"
NEW AGXGOLF MAGNUM (EXTREME TECHNOLOGY) BOY'S LEFT or RIGHT HAND GOLF CLUB SET with STAND BAG & PUTTER: OVER SIZED FORGED GRAPHITE SHAFT DRIVER: SOLE WEIGHTED (CALLAWAY X-TOUR STYLE) STAINLESS STEEL SHAFT IRONS: FREE HEAD COVERS FOR THE DRIVER & 3 WOOD!! Sets include One year Manufacturers WARRANTY!! BAM!!! THE SAME COMPANY THAT BRING YOU THE BALLISTA and TOUR EAGLE GOLF CLUBS HAS DESIGNED THE MAGNUM BOY'S EDITION..! YES, this set was "INSPIRED" by our popular "FURY" TEEN EDITION. (and the best part is the AFFORDABLE price)!! THE SUGGESTED RETAIL PRICE FOR THIS SET IS $229.95... YOUR PRICE IS MUCH BETTER.....FEEDBACK on these sets is MAX! "Great transaction. Golf clubs for my son are perfect! ".....and "terrific clubs for teens!" By; Christie518 / Verified Purchase;Great quality clubs priced right and perfect for my teenage boy! 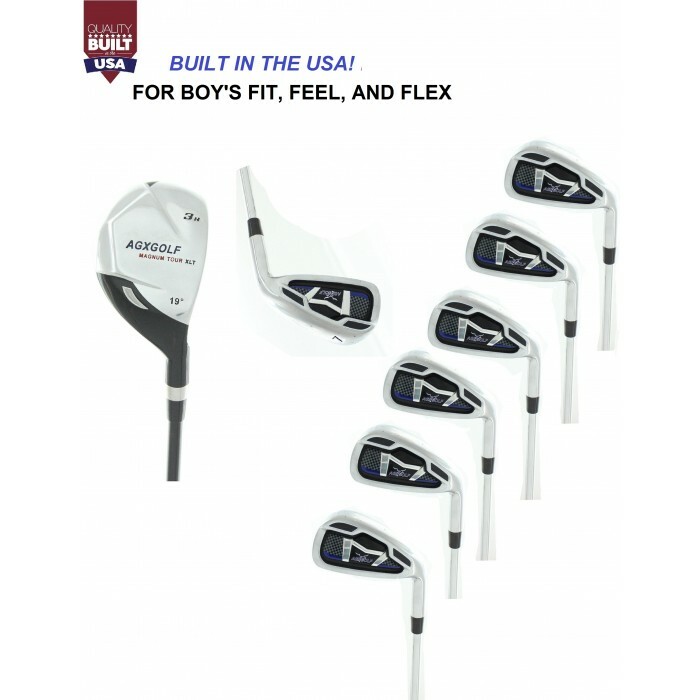 If you are looking for a set of clubs for your teenager that might have outgrown the youth size but aren't quite ready for the adult size than this is a great deal for you. 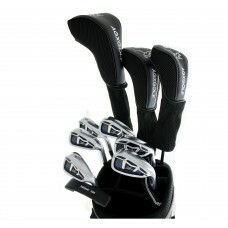 This set of Golf Clubs from AGXGOLF is LOADED with the latest technology!! FAIRWAY: 3 WOOD (15 degree) Large Profile OVERSIZE FACE with FORGIVING LOFT. EASY TO HIT OFF THE TEE OR OFF THE FAIRWAY!! #3 HYBRID IRON (22*) combines the power of a wood with the accuracy of an iron. The HYBRID Iron makes it SOOO much easier to hit the longer Iron shots on fairway lies and more difficult lies in the ruff! WELL CRAFTED AVT (CALLAWAY X-TOUR STYLE) IRONS are FULL TIME SHOT MAKERS! The OVERSIZE DURABLE heads with the WEIGHTED SOLES keep the CENTER OF GRAVITY LOW and that makes it MUCH EASIER to get the ball AIRBORNE FAST! The OVER SIZED Cavity Back, Perimeter Weighted club head design helps to "square the club head" at impact resulting in MORE STRAIGHT SHOTS! We can not over emphasize the value of the Sole Weighting: The advantage is that the lower center of gravity is more likely to produce a soaring Tour-Style golf shot. It will be so much easier to get a nice high loft on your shots and that means greater accuracy and "Pin Point" SOFT LANDINGS! 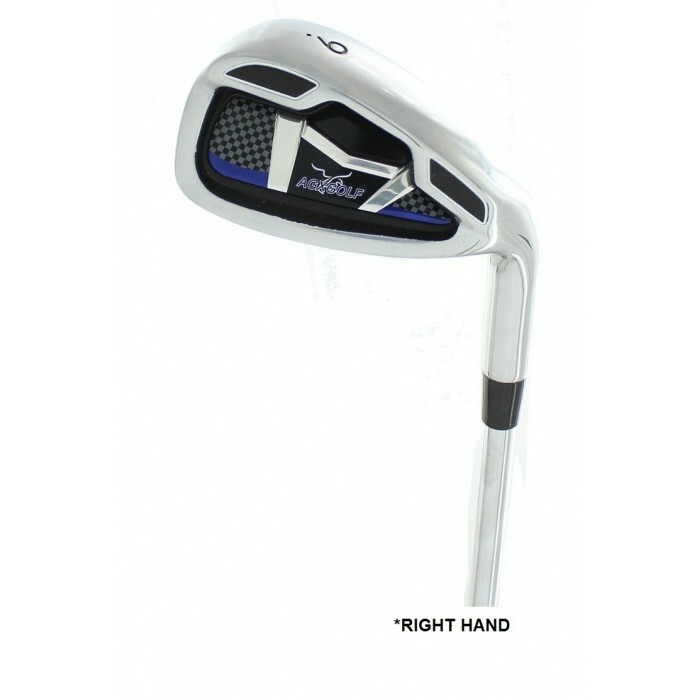 This club head design technology, plus the superior Technology produces a golf club with outstanding distance plus a great feel that makes it easy to swing. 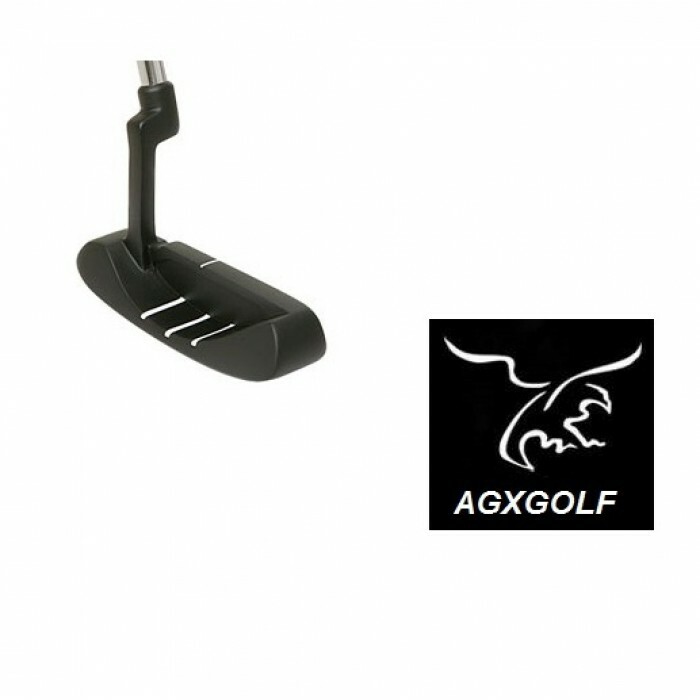 Z SERIES PUTTER: These are an excellent design; the Mallet head features a precision face with "Heel-Toe" weighting to help keep the Putter head on line for more accurate Putts (Notice the style of putter Tiger Woods uses). Also important to note is the contoured grip that allows for a relaxed posture. This is important because a relaxed grip and posture means more consistent Putting and lower scores!! Sharp design with superb craftsmanship and the latest technology, your going to have everybody asking where you got these clubs!! These clubs are easy to learn with! THESE ARE SMART!! Whether it's a first set or for upgrading from a mix and match set to the newest technology in golf equipment. THE DISTANCE ADVANTAGE of the GRAPHITE SHAFT WOODS & HYBRID WILL PAY OFF BIG TIME!!! THIS IS THE SET UP to MAX YOUR GAME. #3 HYBRID IRON: combines the power of a wood with the accuracy of an iron. PITCHING WEDGE: To optimize your SHORT GAME around the greens! 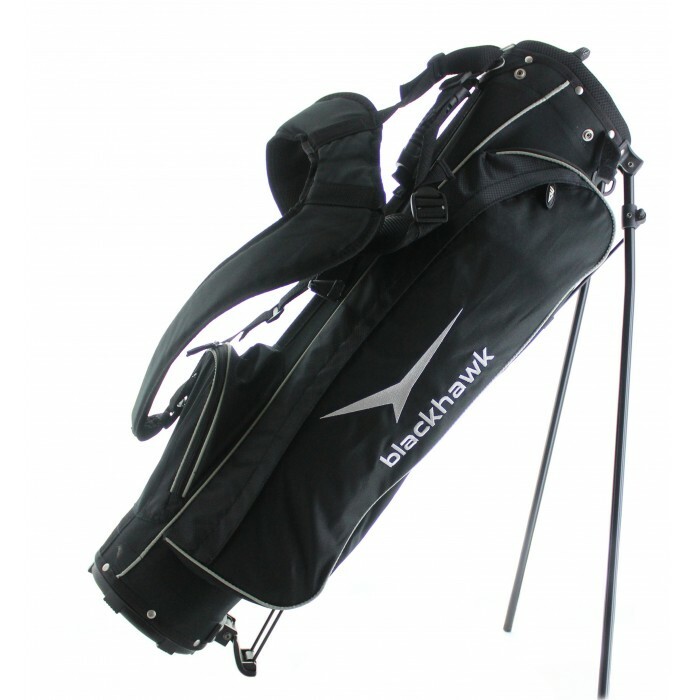 BOY'S STAND BAG: This is a terrific value and the best for FIT and QUALITY for the NEW GOLF SET! BOY'S (TWEEN): For HEIGHTS of 4' 8" to 5' 3"
BOY'S (TEEN): For HEIGHTS of 5' 2" to 5' 7"
BOY'S (TALL): For HEIGHTS of 5' 6" to 6' 0"